I just did my monthly trip to Wally World to see what was new, what I could afford and what was overpriced. Starting with the scary "new release" shelves which I'm not going to pay full price for, I saw "The Innkeepers", "The Darkest Hour", "The Divide" and "Underworld Awakening". There were also a couple of horror movies which I've never heard of, don't know the names of any of the actors in, can't remember the titles of and which I assume are handycam crap. Moving on to the $10 shelves, I only noticed that "Jennifer's Body" was still hanging onto the $9.98 price tag while "Orphan" has disappeared into the bargain bin. A double-feature of "Alien" and "Aliens" was also there. A few others which I have no interest in such as the "Nightmare on Elm Street", "Final Destination" and "Critters" 4 packs were on the other side although I think they are due to be moved into the $7.50 section soon. 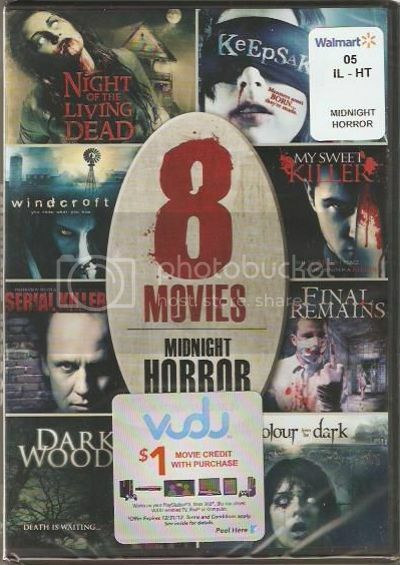 Of course, I was straight into the $5 bargain bin as usual and, from all the other Echo Bridge horror packs, I decided to get another "Midnight Horror" pack (above). Obviously I really needed yet another copy of "Night of the Living Dead" (not!) but the collection I chose had more movies on it which I haven't seen than any other. 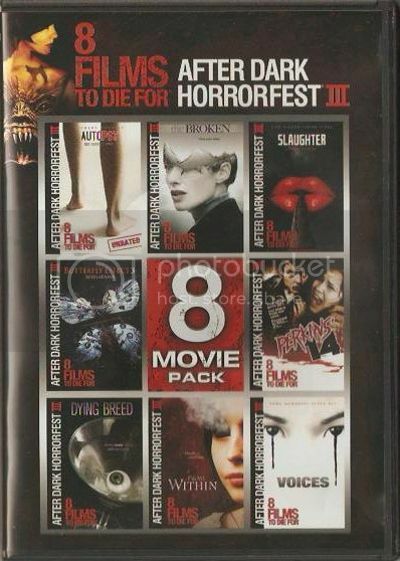 I also decided to get the "After Dark Horrorfest III" pack because it's the best out of all of the After Dark festival years (although that's not exactly a compliment). The movies are barebones and come on two DVD discs with four on one side rather than two on each side which you have to flip. I've only watched the first DVD before writing this post and it was okay. 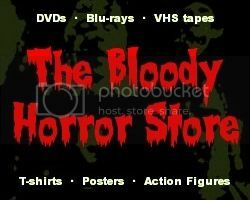 "Slaughter" was the best of a bad lot although "Autopsy" was pretty gory. For $5, I'm not going to complain too much. 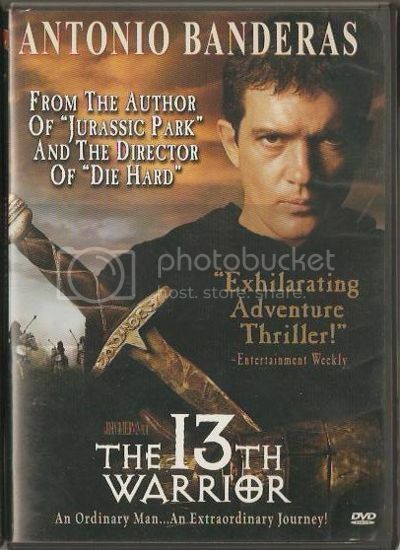 Being a big Antonio Baderas fan has its drawbacks because I then spent more money than I wanted to by buying "The 13th Warrior" from the $5 section as well. It's not a very good film but there's a little bit of gore in it and enough ludicrous moments to keep my overly critical self amused for a while. Muslims and Vikings versus cannibals? Yeah, I think you can all work out the historical inaccuracies in this one. 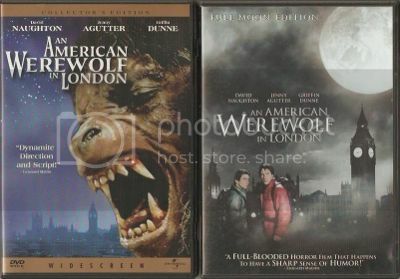 Finally, while I was out and about, I also paid a visit to my other favourite DVD exchange store where I double-dipped "An American Werewolf in London" with the "Full Moon Edition". I'm still keeping the older version though. 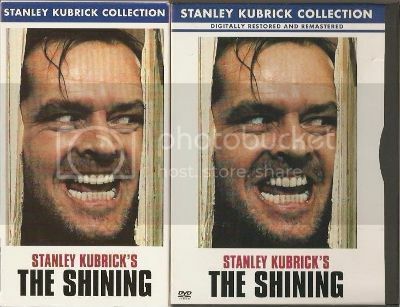 In a further moment of weakness, I upgraded my VHS copy of "The Shining" to the identical DVD version even though it had one of those crappy cardboard cases that sticks too far out of the shelf and catches on the DVD next to it. I've spent far too much money this week.